Photo: One of our students at the Hope Center School who enjoys her classes and three meals a day thanks to your support of this program. Today we bring you an important update from our Children’s Hope Center School in the slums of Kampala, beginning with the encouraging news that we completed a successful first term of the Ugandan school year on May 5th. We had 133 students enrolled during this term, and they studied English, science, social studies, mathematics, writing, physical education, Luganda (one of the native languages of Uganda), and two levels of literacy classes. We are thankful to report that all of our students — Kindergarten through 7th grade — did well on their end of term exams. In partnership with our Kampala field director and his hardworking team, we started the Hope Center as an after-school care program offering education and nutrition support to impoverished children in the area, but a few years ago we transformed it into a fully-operational primary school. We have faced several challenges at the school, mostly from damage caused to the humble facility during severe flash floods. The colony is at the base of the Gaba hills approaching Lake Victoria, so the area is extremely flood prone. With your support, we were recently able to purchase the materials needed to raise the floor level of the Hope Center School to prevent future flooding, add 2 additional classrooms, and buy new desks to replace old desks that were damaged during previous flooding. We are currently in the process of repairing some flood damages to our property while the children are on break and the rainy season has abated. We are working to raise the floor level of the Hope Center School high enough to prevent future flooding, and to repair the roofs of the 2 new classrooms which blew off during recent, extremely high winds. We also built 12 new desks and 30 benches, and repaired 10 old desks that we salvaged from high flood waters. 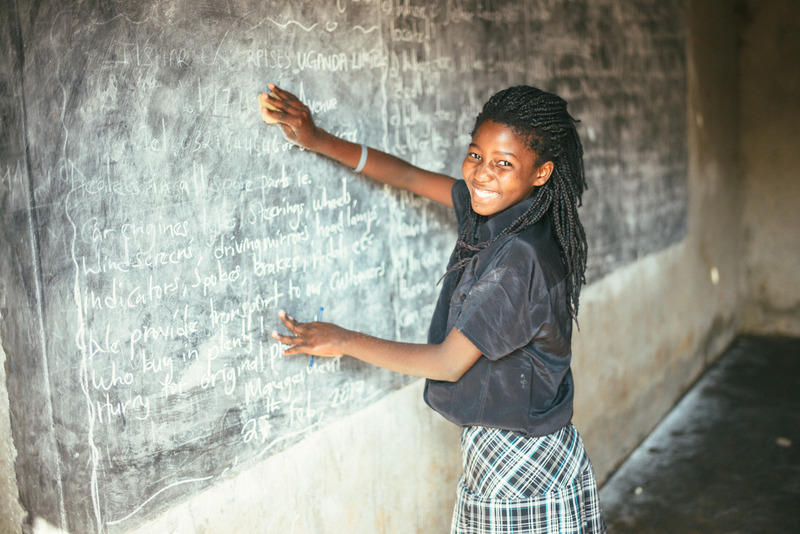 The next term of the school year starts in one week, and with your support we hope to purchase chalk, school supplies, and textbooks for the children. As we look toward the future, we are praying to be able to purchase land on top of a hill where we can build a large, permanent building that will not flood during the rainy seasons. We also hope to grow food on this future land which would help us immensely during food shortages resulting in expensive food prices, such as we are currently experiencing in Kampala. Uganda has been dealing with a food crisis which began 8 months ago when the country suffered an intense drought. As a result, food costs have doubled in price due to food shortages in the area. Our team is striving to serve breakfast, lunch, and supper to our 133 students every day, but sadly, there is sometimes just not enough food to go around. At times children from the colony are lined up outside our Hope Center with bowls, hoping to get leftovers from lunch. Thankfully we generally have enough to serve most, but we lack the budget to keep the pantry stocked with adequate supplies of rice, cornmeal, and beans, which are all staples of the local diet. Photo inset: (Top-left): 133 students completed a successful first term of the Ugandan school year on May 5th at our Kampala Children’s Hope Center. (Top-right): One of the challenges at our Kampala center is the flooding which frequently occurs and causes damage to our humble facility. (Bottom-left): Women enrolled in our She Has Hope crafts-making program learn to make a variety of paper bead jewelry. 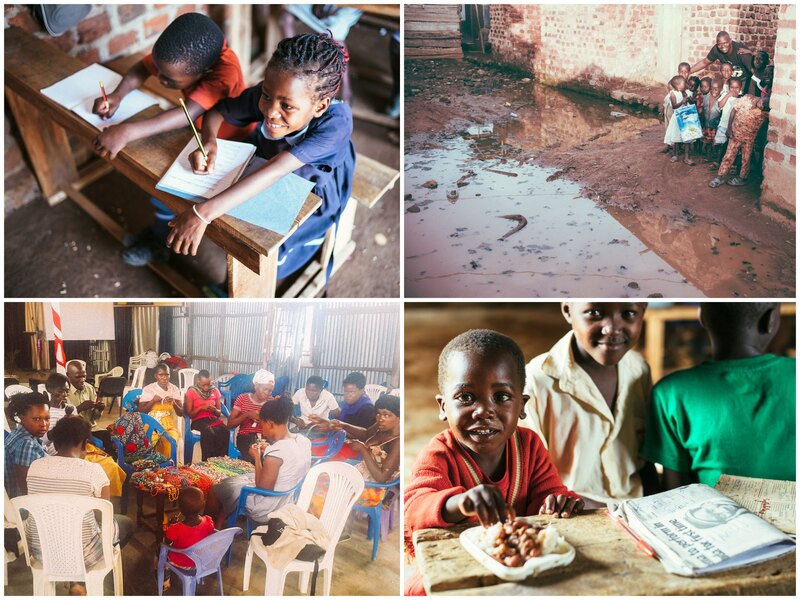 (Bottom-right): Our Kampala Hope Center strives to serve three meals a day to our students. We are seeking to raise an additional $300 each month to feed 133 students breakfast, lunch, and supper 5 days a week. In addition, we also need to purchase charcoal for cooking, clean water for all of our everyday needs (washing, bathing, cleaning, and drinking), soap, salt, cooking oil, plates, and saucepans. Our Kampala field director reports: “Sometimes the children may only have one meal a day, some days we cannot provide any meals, sometimes I borrow food from people who sell food, and sometimes we serve only hot water with bread, so it is quite challenging. We really struggle to feed the children at the Hope Center School as well as the women enrolled in the She Has Hope rehabilitation home and our crafts-making program. I have no daily income to help support everyone — we really need our brothers and sisters to join hands together with us so that we can help save lives and and ensure the future of these vulnerable children and women.” We hope that by July or August the prices of food will decrease because by that time some farmers will be harvesting. Please keep all of these circumstances and needs in your daily prayers. In more uplifting news, our new Kampala ‘She Has Hope‘ rehabilitation home recently launched, empowering women and girls to recover from the trauma of human trafficking. Four girls are currently enrolled at the new home in Kampala and as part of their skill development coursework they are learning to make various canisters made from banana tree fibers, and paper beads of several varieties, which will be used to make necklaces, bracelets, and clutch purses to be sold online in our ‘She Has Hope’ crafts shop where all proceeds go toward their rehabilitation. We also have 6 other women enrolled in the crafts-making program — they are single mothers in the area who have no other way to make a living at this time. I lost both of my parents, and I was living with a friend of my late mother. When I lost my parents, my education stopped, so I had to struggle to live and look for what to do in order to survive and find and help my younger sisters — I do not know where they are. I met a woman who promised to get me a job abroad. I traveled with this woman to the city of Kampala, and she hid me in a house. I was new and could not identify the place, and after 5 days, the lady left me there. She didn’t come back to check on me or the other four girls living there by then. I looked for ways to escape from the house, and after hearing stories of this woman and that she did child trafficking, we had to climb the fence to escape. We came to the church where I met the director who is now taking care of us — when we told him about what we had experienced he opened his house and welcomed us to stay with his family and that is where we are now. I thank God so much for the director, his family, and She Has Hope for considering me to be part of the rehabilitation program. I felt sick and had a tooth problem and the director took me to the hospital and the tooth was removed. I now sleep on a bed with a mattress along with the other girls that are in the She Has Hope program. I am happy that I can sleep and eat living without worry and fear, and I am glad that I am now learning how to make crafts, necklaces, and canisters, which I hope will help change my life. Thank you. Please keep all of these precious people and our endeavors to help them in your prayers. We remain grateful for your faithful support, holistically enriching the lives of our children, our girls, and our native team.